Where did the time go? For nearly 1,300 students in the Denair Unified School District, summer vacation ends Thursday with the resumption of classes. 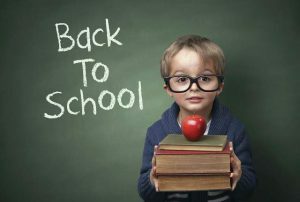 School begins at 8 a.m. on all four campuses – Denair Elementary Charter Academy, Denair Middle School, Denair High School and Denair Charter Academy. At DECA, there is a modified schedule for students in kindergarten and transitional kindergarten; start times have been mailed to parents. The first day of school is always an exciting time as students are paired with new teachers at a new grade level. Each campus has special activities planned to mark the new school year. And next week, parents are invited to meet their child’s teachers at a series of Back to School nights at DECA, DMS and DHS. DECA: Tuesday, Aug. 15, 5:15 p.m.
DMS: Wednesday, Aug. 16, 6 p.m.
DHS: Thursday, Aug. 17, 6:30 p.m. Superintendent Aaron Rosander welcomed the staff back earlier this week with a note. There also were two days of training for teachers and administrators. “Whether you are new to the district or returning, you will sense a feeling of high energy and great anticipation when you step on your campus,” Rosander wrote. “With many new and wonderful colleagues joining our incomparable veteran staff, this year promises to be an exceptional experience for everyone connected to Denair schools. The first day of classes went off without a hitch at Denair Unified’s four campuses Thursday. “Phenomenal” and “great” were among the words excited principals used to describe what happened. Denair trustees learned Thursday night that enrollment – which has been declining for more than five years – is up dramatically from last year and, most importantly, is significantly higher than what was planned for in the 2016-17 budget. At Denair High School, which has seen the sharpest declines, there were 279 students Thursday. That’s up 35 students from the budget and 10 more than last year. At Denair Middle School, there were 22 more students than the budget anticipated. The same was true at Denair Elementary Charter Academy, which has been in growth mode the past two years … and still had 27 more students than were budgeted. The news also was positive at Denair Charter Academy, which had 225 home-school and independent study students enrolled Thursday. It typically adds students throughout the year and likely will end up with more than 300 later this fall. In all, Denair had 1,306 students on its campuses Thursday, well above the budget forecast of 1,249. The mood was buoyant in the board room. After three years of salary cuts and downsizing directly related to declining enrollment, Thursday was the most encouraging sign yet that the district has turned the corner. With the state providing about $8,000 in funding per student, having 84 more than expected is a nice “problem” to have. Two of the country’s most respected experts on effective teaching brought their ideas to life Tuesday morning at a training event for nearly 100 Denair Unified teachers, principals and other staff members. Harry Wong and his wife, Rosemary, alternately inspired and challenged their audience, infusing their talk with hands-on lessons from their own teaching careers as well as success stories from classrooms all over the country. The Wongs are authors of many books on education, including “The First Days of School: How To Be An Effective Teacher,” with has been translated into seven languages and sold 3.9 million copies around the world. They are plenty in demand. They were in Wisconsin on Monday, flew back to California and then jumped into another plane to get to Texas for an event Wednesday. With school beginning Thursday on Denair’s four campuses, Tuesday’s appearance was especially timely. “Dr. Wong is the pre-eminent teacher trainer in our nation. His book … is a staple in university teacher training programs and is used by more teachers across the nation than any other resource,” said Superintendent Aaron Rosander. “We live in Bay Area and are surrounded by technology, but technology doesn’t teach kids. 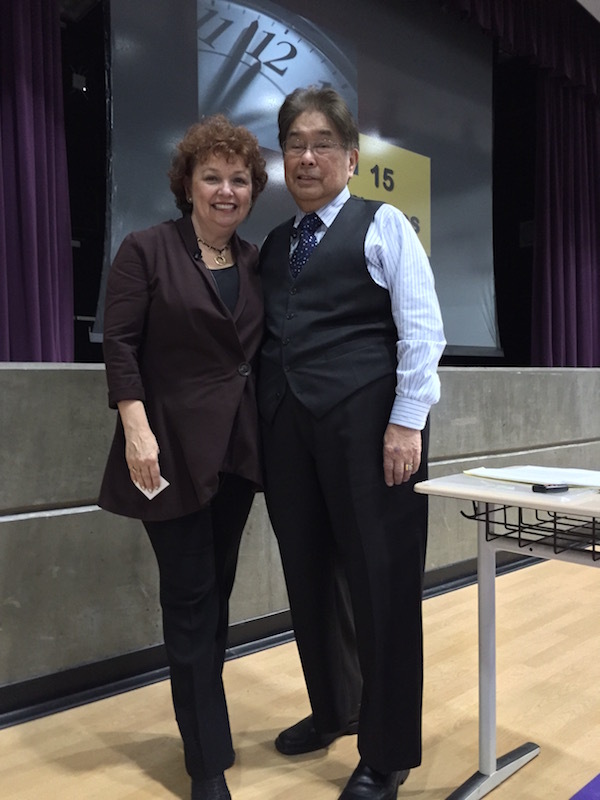 There is no program that can replace a teacher,” said Wong, who was honored in 2016 with a Lifetime Achievement Award from National Teachers Hall of Fame. School resumes Thursday, Aug. 11 in the Denair Unified School District with more than 1,200 students expected for classes across four campuses. 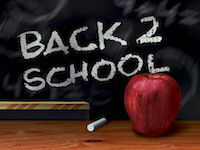 School begins at 8 a.m. Class is over at 2:20 p.m. for transitional kindergarten and kindergarten students, 2:40 p.m. for children in grades 1 to 5, and 2:45 p.m. for all other students. Four new principals will be in place in the district – Kara Backman at Denair High School, Kelly Beard at Denair Middle School, Lucy Zamora at Denair Elementary Charter Academy and Brian LaFountain at Denair Charter Academy. Parents are invited to read the district’s handbook, then sign and return the acknowledgement form to the office at their child’s campus. The handbook contains district policies and outlines the rights and responsibilities of parents. All community members are reminded to be especially cautious of children walking or riding their bicycles to and from campus beginning this week. Parents driving their children to school are advised to give themselves plenty of time because traffic is predictably heavy before and after school. Parents with questions about busing should call 632-7514, ext. 1230 or 1218. Breakfast and lunch are served at all school food service sites between 7:30 and 7:55 a.m. Parents with questions should call 632-9920, ext. 1243. 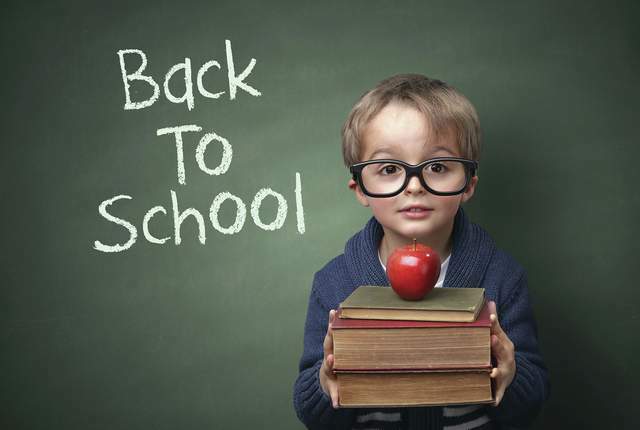 Tuesday, August 12, marks the start of the 2014-15 Denair Unified School District school year. Daily schedules and other information of each of the DUSD schools is outlined below. 1st -5th Grades, M -Th, 8:00 am – 3:00 pm. Fri, 8:00 am to 12:30 pm. Kindergarten, M -Th, 8:00 am – 2:20 pm. Fri, 8:00 am to 12:00 pm. Free breakfast is served to all Denair Elementary School and Denair Academic Avenues students from 7:30-7:55, in the Denair Elementary School Cafeteria. Denair Middle School and Denair High School will share a daily schedule. 8:00 am – 2:45 pm. Free breakfast is served to all Denair Middle School students from 7:30-7:55, in the Denair Middle School Coyote Center. Denair High School students are served from 7:30-7:55, in the Denair High School Cafeteria. Parents can prepay for student lunches, for all school sites, using the myschoolbucks.com service.